Monday 22nd September 2014 – 5.10pm – Jamie Arrowsmith. 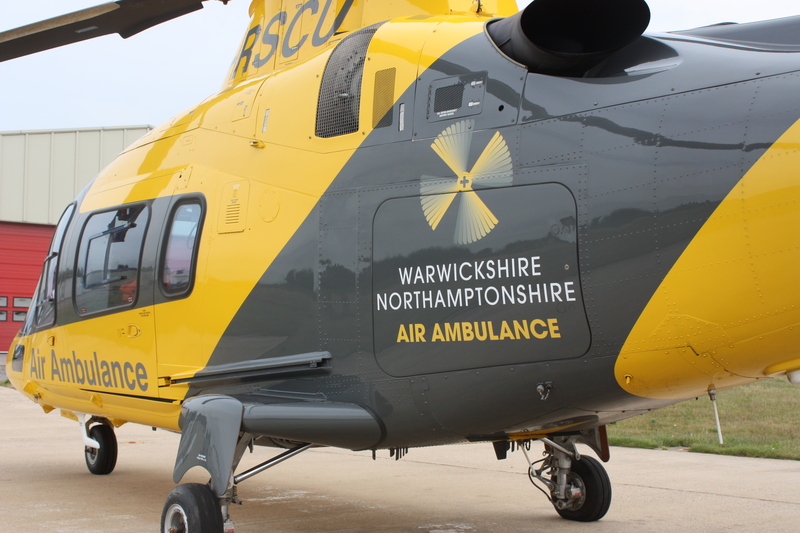 A man who was thrown approximately ten feet from his motorbike following a collision with a car in Leamington Spa this morning has been airlifted to one of the region’s major trauma centres. West Midlands Ambulance Service was called to Fosse Way, near Chesterton, at 11.30am and sent an ambulance, a community paramedic, a rapid response paramedic and the Warwickshire and Northamptonshire Air Ambulance to the scene. A West Midlands Ambulance Service spokesman said: “On arrival, crews discovered a man, reported to be in his 80s, who had been thrown approximately ten feet from his motorbike following a collision with a car. “Following assessment from ambulance staff, the man, who remained conscious throughout, was treated for arm and leg fractures and a minor head injury. His injured arm and leg were splinted and he was immobilised on a scoop stretcher. “He was then airlifted to University Hospital Coventry and Warwickshire for further assessment and treatment.